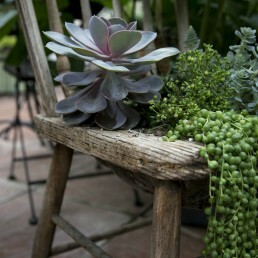 Peruse our latest range of cacti, succulents and foliage plants, as well as flowering varieties, which bring colour, texture and interest into the home, while cleansing the air and reducing stress. Ask in-store for style and care advice. 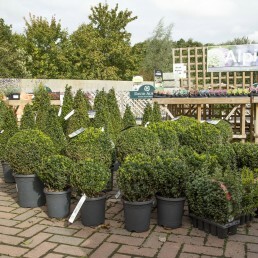 If you’re looking to add shape, texture and structure to your garden, while providing shelter and food for wildlife, explore our range of evergreen and deciduous shrub varieties. Ask in store for guidance on positioning. 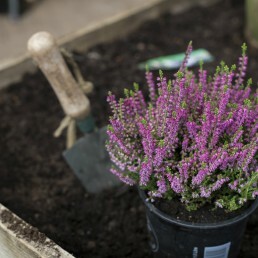 These plants are ideal for achieving a cottage garden style border, bringing a colourful new dimension that will return year on year. 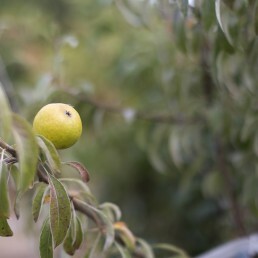 Flowering, ornamental and fruit bearing trees are among the varieties that can be discovered throughout the year. 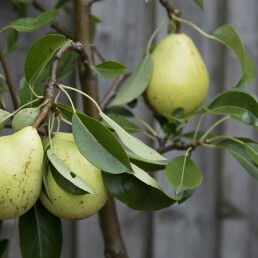 Ask our experts for advice on choosing the right tree for your garden or outdoor space. Bringing a sea of colour and texture to borders, baskets and containers, these plants attract pollinators into our gardens too. At Castle Gardens, we sow sweet peas, fuchsias, petunias, geraniums, begonia, lobelias, autumn chrysanthemums and stock many more. With every corner of the garden considered, our seeds and bulbs can keep colour and interest popping up throughout the entire year. 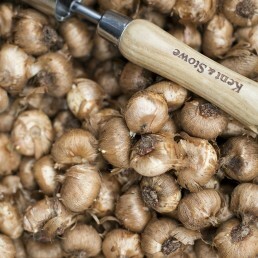 Potted bulbs are also available, including daffodils and crocus. Helping more people to grow their own fruit and vegetables, no matter how much space they have, we offer a wide range of seeds and seedlings at all three centres. 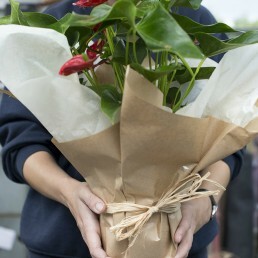 Ask in store about getting started or expanding your homegrown range. 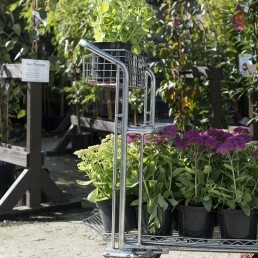 From shrubs, climbers and perennials to roses, hedging and fruit trees, ask about our seasonal plant stock in-store. 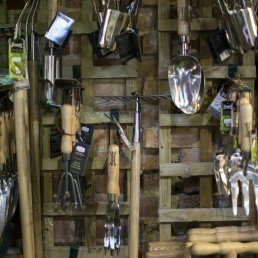 With tools, outdoor gear and accessories, we have everything you need to keep your garden thriving all year round, including sheds from Halstock Sheds to keep everything safe and secure. 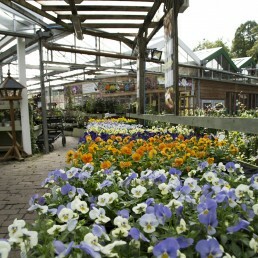 Valid at all three of The Gardens Group’s garden centres, we also sell and accept HTA National Garden gift vouchers. 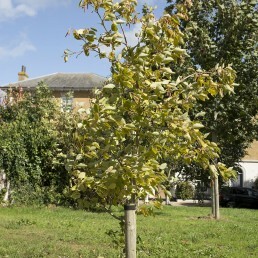 Whether it’s a small shrub or a magnificent specimen tree, one of our fully trained team will plant your tree in your chosen location, giving it the best possible start in its new home. 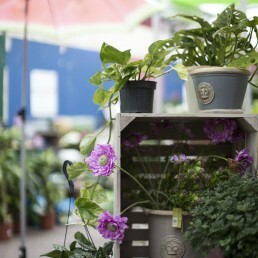 For gardening inspiration, plant care tips and advice on choosing plants for your outdoor space, ask in store about our garden advisory services and book a consultation. Drawing upon a huge range of plants across our three centres, our plant loan service is designed to make maximum impact at your special event, in keeping with your chosen theme. Find our more. 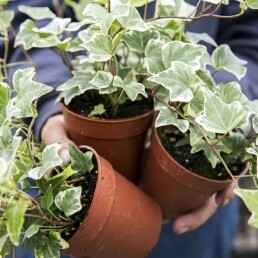 Valid for 24-months from the date of purchase, our guarantee gives peace of mind when selecting hardy plants. We’ll make sure you have all the information and guidance you need and the team is always on hand to offer tips and advice. Having made thousands of hanging baskets, our team is ready to help you choose the best plants for a show-stopping basket or container display. We use natural, plant-based raffia, fully biodegradable bio-plastic film and pH neutral tissue papers, which are made from recycled paper and soy-based inks, so you can finish your gift off with an environmentally friendly flourish. Guaranteed within three working days of purchase, but we can accommodate special dates and deadlines. Organised by Dorset Wildlife Trust, the Wildlife Friendly Gardening Competition is an annual scheme, which we are very proud to sponsor. 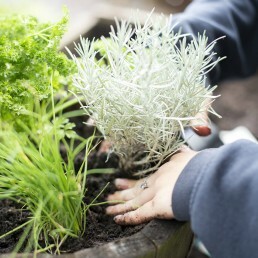 Open to gardeners of all ages in Dorset, the competition celebrates those who create wildlife havens in their gardens no matter how big or small their outdoor space. 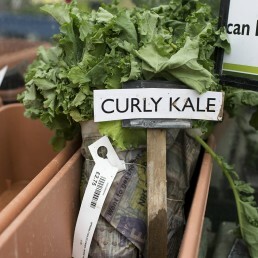 Fostering strong relationships with the local community is considered part of daily life at each of our garden centres and we take great pleasure in supporting local groups, charities and businesses to raise awareness of their fantastic initiatives. 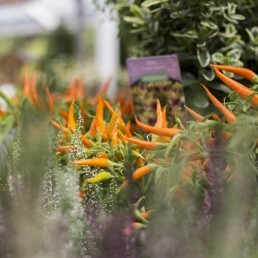 We work closely with local garden clubs and horticultural societies, regularly visiting for talks and flower shows, as well as hosting special events at our garden centres. Back in 2016, co-founder, Mike Burks launched the Flower Show Forum, pulling together the expertise of professional organisations and flower show organisers to identify ways to keep the traditional flower show alive and well. Solar panels, air source heat pumps and biomass heating, as well as tanks collecting rain water, are among the eco-friendly initiatives at all three of our garden centres. We also collect cardboard from other local businesses to recycle or reuse in the garden centres, helping tackle the problem of waste as a community and collectively reduce the amount that ends up on landfill. We all have a responsibility to nurture our little patch of earth, no matter how big or small, in order to look after the environment and the wildlife within it. Passing our skills and knowledge to the next generation is vital, so we are always delighted to provide seeds, tools and expertise for school gardening projects. Get in touch to discuss your gardening project. Run by Tricuro and based at Castle Gardens, The Green Shed provides work opportunities for adults with learning difficulties. The Green Shed’s clients spend their days making kindling and other wooden items using recycled wood, which are sold at Castle Gardens to support the running of this vital community resource. Local gardening clubs and horticultural societies can join The Gold Club to enjoy benefits like in store discounts, free expert talks and much more. Book a free talk from one of our experts at your group meeting, on a subject of your choice. Organise an afternoon or exclusive evening visit to one of our garden centres for 15 – 25 of your members and enjoy a short talk, refreshments and a 25% discount on purchases. Available to members during January with our special order forms for sundry goods, such as compost. Discounts on seeds, seed potatoes, young plants and seedlings during January and February, with offers on spring bulbs and over wintering onions and shallots come summer. Stay up to date with events, talks and offers with our regular newsletter distributed to your club secretary. Where possible, we’re always happy to help with special projects, like preparing for RHS Chelsea Flower Show. 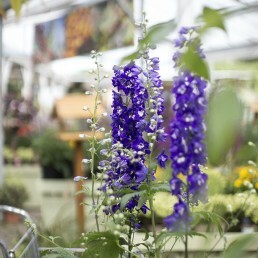 Free show cards and stationery for your flower show.